Place of Origin: Cambodia, Malaysia, Indonesia. 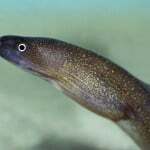 Lives in rivers and coastal waters. 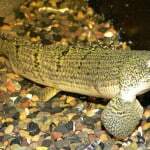 It’s found most often in freshwater, but also is found in brackish conditions. Typical Tank setup: Best kept in a planted setup with lots of bog wood and branches to provide additional cover. Leave some open spaces in-between for swimming, as this is an active species. 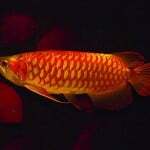 The use of a sandy substrate and floating plants to diffuse the light is also recommended. 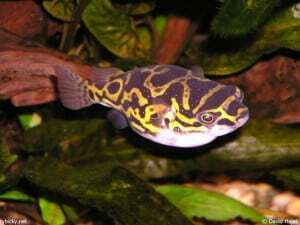 The puffer is very sensitive to deteriorating water conditions, so regular partial water changes are a must. 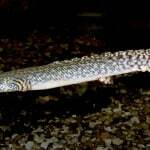 Compatibility: Can be kept in a community tank, but caution should be taken when choosing tank mates, as it tends to nip the fins of slow-moving or long-finned fish. 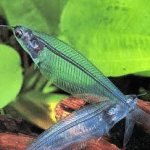 In freshwater, it does well with fast-moving species such as danios, rasboras and barbs. 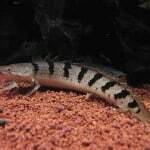 In a brackish community tank mates can include monos, bumblebee gobies and salt-tolerant Chanda species. If you want to keep more than one puffer, try to buy at least four fish, so that any aggression is dispersed between the group. Feeding: Loves all types of shellfish, as well as worms and other live and frozen foods. It should be fed snails and unshelled shellfish (such as crab legs, prawns etc.) regularly, in order to take care of and preserve its sharp teeth. As with other puffers, these grow all the time and become a problem for the fish if they’re not kept ground down. Sexing: Adult females may grow larger than males. However this is incredibly difficult to notice. Breeding: Not Unknown in the hobby. However there have been reports it’s a substrate spawner and the male exhibits some signs of brood care. 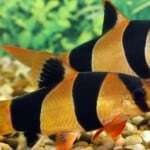 This entry was posted in Profiles Tropical All Fish, Profiles Tropical Brackish.